Most people in Australia know about it, and many backpackers drink it almost daily. Basically, goon is a general name for cask wine (or boxed wine). There are mixed opinions about goon. On the one hand, it's a cheap drink that tastes good ice-cold or mixed. By "best" I mean that these are the ones that you can drink even pure without mixing them. That is the extent of my recommendation—nothing more, nothing less. Goon is always something special, and, no matter how you drink it, do not expect a firework of flavour. This is probably the most popular brand which you can buy all over Australia. Additionally you can buy the Golden Oak as dry, medium dry, or even red—but to be honest, never ever buy a red goon! It was the worst hangover I ever had in Australia. If you want to drink red wine, go for the bottled ones. However, Golden Oak is one of the “better” goons, which you can drink without mixing—though I recommend drinking it ice-cold, as you should with all goons. This was also my favourite when I was in Australia and I bought it every chance I had. The flavour is sweet and not that strong. This is another quite good-tasting goon. 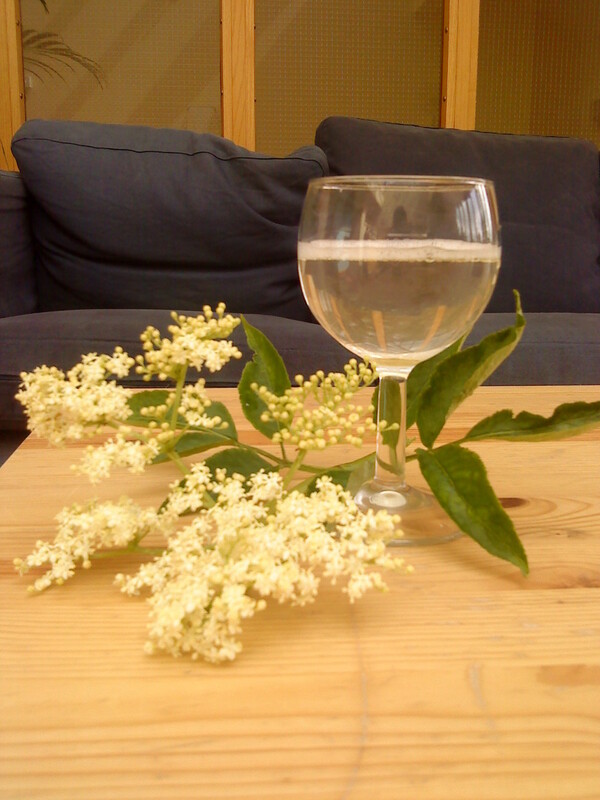 For the price-to-alcohol ratio, this is the one to buy. It has 10% more content and is around 2% stronger. It doesn't taste too bad either. Coolabah, Kaiserstuhl, Berri Estates, Sunnyville, and Stanley are goon brands that taste unique but are not that good. Drinking them on ice or with a mixer is recommended. 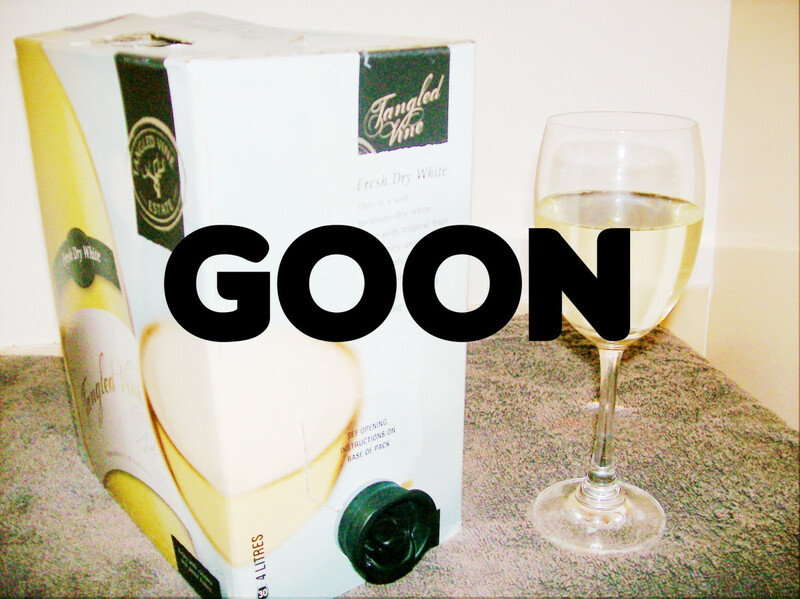 Goon was invented in 1965 by an Australian bloke called Thomas Angove from South Australia, who was the first person to patent wine packaged in a carton box. He put one gallon, or 4.5 liters, of wine into a box and sold it—and thus, goon was born. As time went on, the box and the container improved. Nowadays, goon comes in a plastic space bag, which is then placed in the box. One of the reasons that goon is so cheap is because the space bag and carton box are far more economical than glass bottles. Where Did the Name Goon Come From? This is a real mystery. No one knows the origin of the name. Wikipedia says it came from the word flagon, and another source says it comes from the aboriginal word for pillow (because of the bag). The truth, however, remains a mystery. Space bag is a term that I (and many others) use to refer to the silver bag inside of the cardboard box that goon comes in. The bags are waterproof, and many goon users have been pretty creative when it comes to using them. The most popular use of packaging is the so-called goon crown, when one uses the carton box as a hat. It is also possible to blow up the space bags and use them as pillows. The most magnificent invention I came across was the goon raft. This was when some of my mates actually built a raft with some sticks and plenty of blown up space bags. Take a look at it below. Slap the Goon is a famous tradition that backpackers and other travellers in Australia learn about quickly. Created by a mate in Byron Bay, it all started with the idea that you literally need to slap the space bag before drinking. The effects of slapping the goon are still discussed and not scientifically proven, but nevertheless the idea took hold, and now “Slap the Goon” is popular all over Australia. You can find people wearing "Slap the Goon" shirts all over the country, and you can even buy Slap-the-Goon Goon, which is a goon brand named after the saying. Goon of Fortune: A game that involves hanging up bags of wine on a clothesline. Goon Pong: Like beer pong, but with (what else) goon. 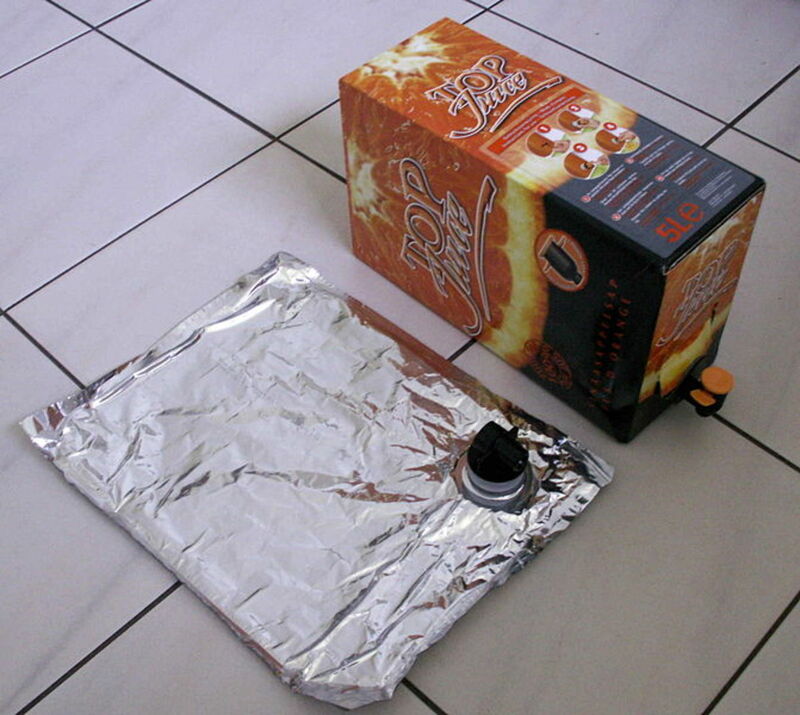 The space-bag method is more economical for the wineries and more environmentally friendly. 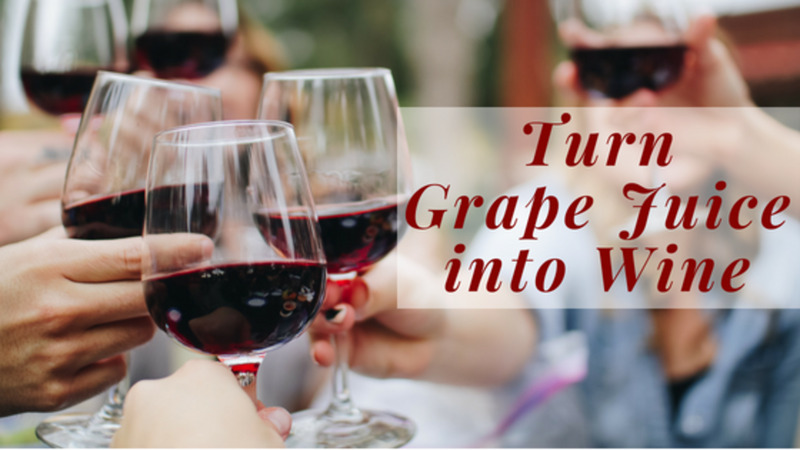 Boxed wine is simpler and lighter to carry—making it especially good for travellers. With a price around $10 for four to five liters, it is basically the cheapest alcohol you can buy in Australia. The space bag allows wine to last longer after opening because it cannot oxidise in the bag. It will stay fresh for weeks. One of the disadvantages of the space bag is that it does not keep the wine untouched for years like an unopened bottle does. It will expire, and you should finish the wine before it does so or you could suffer from serious stomach problems. Critics also argue that goon tends to encourage binge drinking and allows alcoholics a cheap alternative to other drinks. That is why in some areas in Australia, you are not allowed to buy goon until 4 o´clock in the afternoon. Some say the taste of many kinds of goon is one of the biggest problems with it. Other people care more about getting bang for the buck. Most goons should be mixed. As mentioned before, goon is not everybody's cup of tea. Mixing goon is a way to make it taste better. Here are some ideas to help you create your own combinations. Goon can be mixed with any kind of juice and it will taste way better. My favorite juice mixers were cranberry, pineapple, and orange juice. Of course, it is up to you which flavour you prefer. The combination of goon and Coke is quite popular. 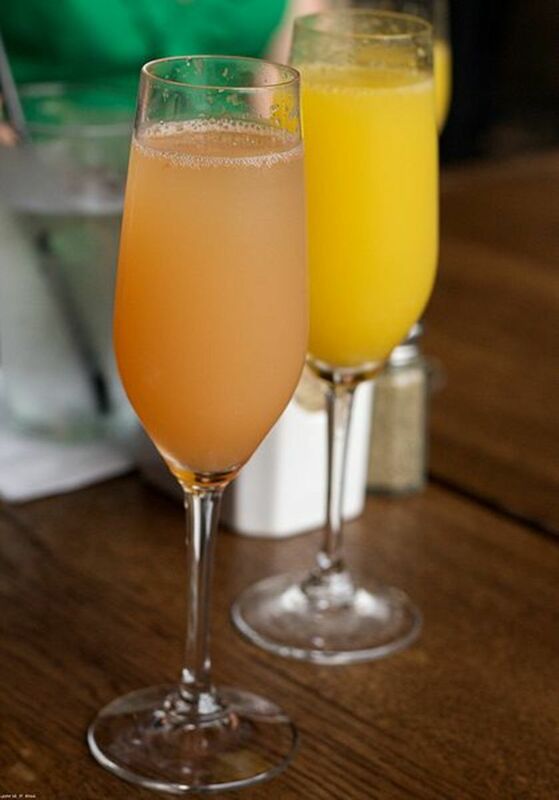 For many travellers, this is the way to go. You can also use Sprite, Fanta, or any other soda you like. Basically, you can mix goon with anything you want. Remember that goon is wine, so you can even make a bowl or cook with it. Be creative, and let me know if you have a good idea. @Pogo6: Thats really interesting really didn´t know about the Flagon terminology. Thanks for sharing. Very interesting. I was familiar with boxed wine, but not this particular product. The derivation of the word "GOON" is originally a corruption of the word "Flagon" - became "Flagoon" - then contracted to "Goon". A flagon is/was a half gallon (2.25L) glass bottle which was the way cheap bulk wine was sold before the popularity of the wine cask (otherwise known as Chateau de Cardboard). When I was much younger the flagon was the preferred drop for "winos" and students for whom quantity was far more important than quality. Even better was that port and sherry came in flagons - much higher alcohol content for not much more in price. Obviously with the decline of glass and the rise of the plastic bag in the cardboard box, the term has come to be applied to this form. @globetrotter: That would be brilliant. Do you have any Aboriginal friends who could confirm? Interesting read, although your use of the word 'mate' is not good. We use it to refer to our friends, it doesn't mean any random person that comes from australia. if you want to use an Aussie word instead, use bloke. "An Australian bloke called Thomas Angove..." makes much more sense. Travelling through Australia at the moment. And was told by my guide on fraser island that the word goon actually means pillow in some of the aboriginal languages (hence blowing the bag up as a pillow). Don't know of this really is true. But it's a funfact for your article. Wow I had to laugh, as reading this takes me back to my travelling days - where goon was my daily tipple & the space bag would often become a pool inflatable or pillow! Nice hub. Never heard of GOON before and wasn't quite sure till I got to the end of your article that it was wine! Voted interesting. Ah, you did too, sorry I missed that about the Space Bag! Cool Hub! Haha, what a great Hub. As an Aussie, I didn't realise that they didn't have GOON all over the world! Most of our wineries now make carton versions of their best sellers. So easy to keep in the fridge and have wine on tap, very convenient! Also, did you know, the inside packaging can also be blown up like a balloon, to make a pillow! Haha! I could go for one of those right now...Nice Hub!